Antica Casa Naldi is a perfect place for you to discover the authentic Tuscany, living in a typical quiet village complete with its traditions but near the most important cities of the region including Lucca, Pisa and Florence. The strategic location also allows you to reach easily both the mountains of the Garfagnana and the Versilia coast. 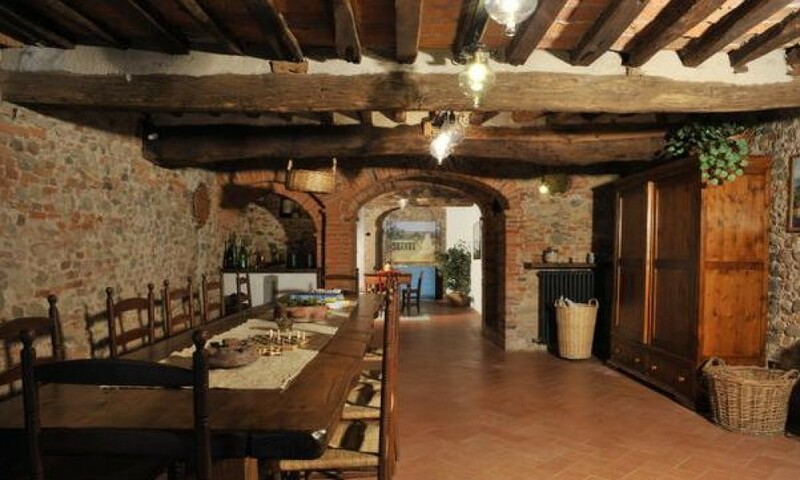 The Antica Casa Naldi, typical tuscan house with medieval origin, is situated close to the walls in one of the most beautiful villages of Lucca�s landscape, famous for the local wine "DOC Montecarlo" and the excellent olive oil. The restored house has maintained the original look, as the tiled floors, stone walls, wooden beams and at least the furnishings. On the ground floor there is a beautiful and large kitchen with an ancient stone sink and big fireplace at the guests� disposal for breakfast and other meals; from a small terrace outside the kitchen (with 2 tables) there is access onto the walls of the village with a marvellous panoramic view of the Tuscan hills. The spacious bedrooms, double or triple, with en-suite bathroom are bright and pleasant, suitable also for families with children. Every room is called with a name of spices, just to remember �lo speziale� or rather the pharmacist of the village, because until the start of 1900 he had his laboratory just in the tavern of Casa Naldi. Finally the typical taverna with its courtyard, which is well suited to accommodate meetings for small groups. In the village there are good restaurants and around Montecarlo you'll find a lot of wine farms and olive groves.